The Staff Selection Commission has already decided to normalize the scores of candidates for the examinations which are conducted in multi-shifts to take into account any variation in the difficulty levels of the question papers across different shifts. The normalization is done based on the fundamental assumption that “in all multi-shift examinations, the distribution of abilities of candidates is the same across all the shifts”. WHAT IS NORMALIZATION IN SCORE? WHY IS IT NEEDED? SSC CGL 2018-19 Notification attributes Normalization in score attained by candidates. This practice by SSC is highly commendable for the sake of parity in exam selection procedure. Previously, Normalization in Score was a unison demand by aspirants as Exam level in different shifts often seem to be varied. Some aspirants with hard luck happen to fall for difficult question set in Exam whereas some other aspirants get an easy level Question Set comparatively. Therefore, this brings a disparity and cause muddling in mindset of candidates in final exam merit thus begetting a dissatisfaction and impiety in the Commission. Where a number of aspirants are already aware of Normalization process, there seem to be a good number of aspirants for whom normalization in score is almost a ‘never heard before term’. 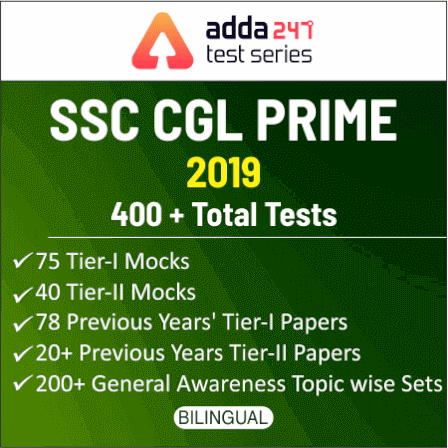 To enlighten these aspirants with part and parcel details regarding Normalization Process in a particular Exam, SSCADDA is all set once again to elucidate your doubts in the most convenient way. Many a time aspirants come out with this question that they happened to appear for the shift in which question set was of difficult level, either it being Quantitative Aptitude Section where question might be more lengthy and calculative in some particular shifts, or General Awareness Section where candidates might find most of the questions invincible or English Language Section where some shifts might bring out a typical and intricated questions, and in such case are not those candidates at a disadvantage over those candidates who luckily got an easier level Paper Set and thus prone to failure. In such a scenario normalization of marks is the most effective tool to clear any dispute between the difficulty levels of papers. Because it is near to impossible that all Exam Shifts Paper Sets would belong to an identical level and nature of questions. The organization may add a mark or two in the total score of the candidate if the paper of his shift was very difficult in comparison to other shifts or may deduct a mark or two in the reverse scenario subject to their rules, formula, and guidelines for normalization. The normalization process is based on a formula and based on a few other parameters decided by the authority, the Exam organizing committee derives the formula for calculating the normalized marks for the multi-session papers. For different exam pattern, there is a different formula for normalization of marks. To bring transparency, win faith of candidates, maintain the sanctity of Commission and conduct a fair competition, Normalization in Score is a remedy.